Meetings can become a waste of time, resources and talent of people, if not planned and executed properly. Effective meetings that actually accomplish their objectives and leave the participants energized and motivated, take sufficient work – or proper planning. In this post we will discuss how to conduct a meeting successfully. Also included is a list of visual meeting tools that you can use during meetings to make decisions, solve problems, brainstorm and generate ideas. Before you call for a meeting, you need to make sure that you actually need to have one. If it’s a matter that you should handle personally with an individual, don’t gather the entire team to discuss it. And if you think you can depend on other methods of communication such as email, newsletter etc., to convey your message, you can avoid wasting the time of your employees with another meeting. What is the purpose of the meeting? Is it to make a special announcement? Decide on something? Solve an issue that is hindering the progress of your project? Determining the purpose of your meeting and setting an objective to be achieved by the end of it is the first step you need to take when planning for an effective meeting. This objective will help lay the foundation for a well-focused discussion. Decide who should be attending, taking into consideration their availability and their ability to contribute to the objective of the meeting. This could be key decision makers, experts in the topic, those who are affected by the outcome etc. If someone cannot make it to the meeting, but their input is still needed, you can make arrangements to connect with them through a conference call or another online collaboration tool. Also select and assign the different roles needed to run the meeting, including facilitator, timekeeper and recorder etc. An agenda is something everyone who is attending, should get prior to the meeting. You can send this out along with the meeting invite. This way they can decide whether their attendance is necessary or not. It should include the meeting items arranged in a logical order, and a realistic time duration set for each item. Following is a meeting agenda template created with Creately. You can edit it online and customize it to meet your requirements. Once modified you can share it with the rest of the attendees with a secure diagram share link, or embed it with the Creately Viewer in your intranet or internal websites for everyone to easily access it. Depending on the tone you want to set for the meeting, select a place (i.e. conference room for a formal setting). Make sure that it is available on the date and during the time you have selected for the meeting. Don’t forget to check that all the necessary equipment for the meeting is available as well. This might include projectors, screens, and other tools for video calls etc. 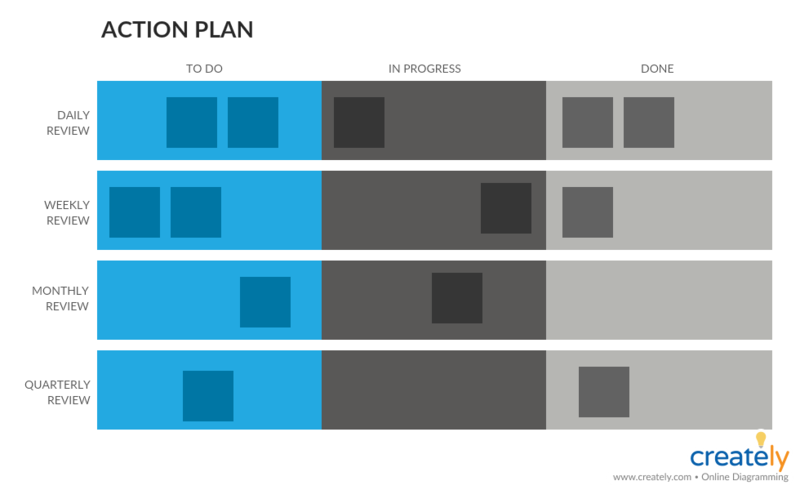 Create an action plan to make sure that the decisions made during the meeting are carried out afterwards. While your reporter/ recorder can use an action plan template like the one below, it should include the tasks/ actions, those who are responsible for carrying them out and the follow-up for action items. Now that we have looked at how to conduct a meeting, here are several visual meeting tools that you can use for different purposes like decision-making, problem-solving and brainstorming. 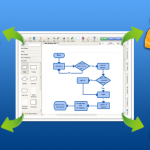 Mind maps are a great tool for organizing ideas, planning and taking down notes. If you are brainstorming solutions to an issue, a mind map can help capture the free flow of thoughts. If you are discussing a subject, you can use it to dig deeper into the topic. And if you want to present information to your meeting attendees in an easy-to-understand way, a mind map can be a great option. Here’s how to use mind maps effectively in a meeting. SWOT stands for Strengths, Weaknesses, Opportunities, and Threats. This tool is used to assess companies during strategic planning, project planning meetings etc. You can also use it to evaluate the efficiency of your department, product, project team or competitor. 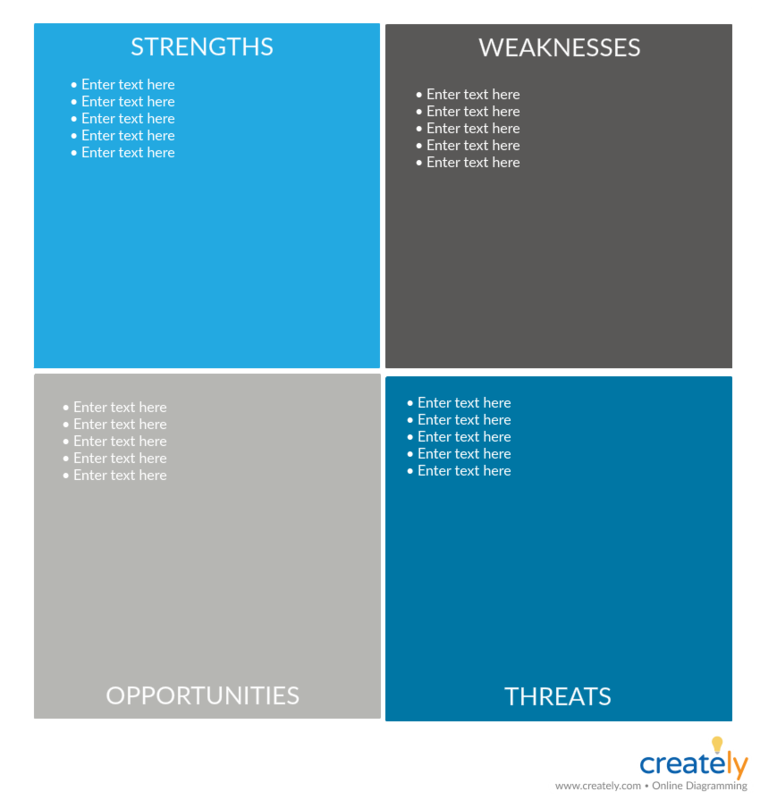 Need to know how to use a SWOT analysis effectively? These are tools used in root cause analysis. While the fishbone diagram (a.k.a. 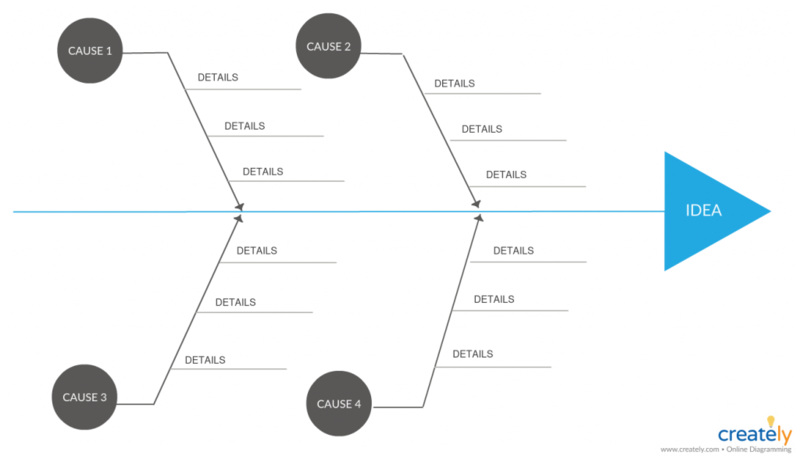 Cause and effect diagram) helps identify and isolate the root cause of a problem, the 5 whys diagram lets you drill down an issue and analyze its underlying cause and effect relationship. 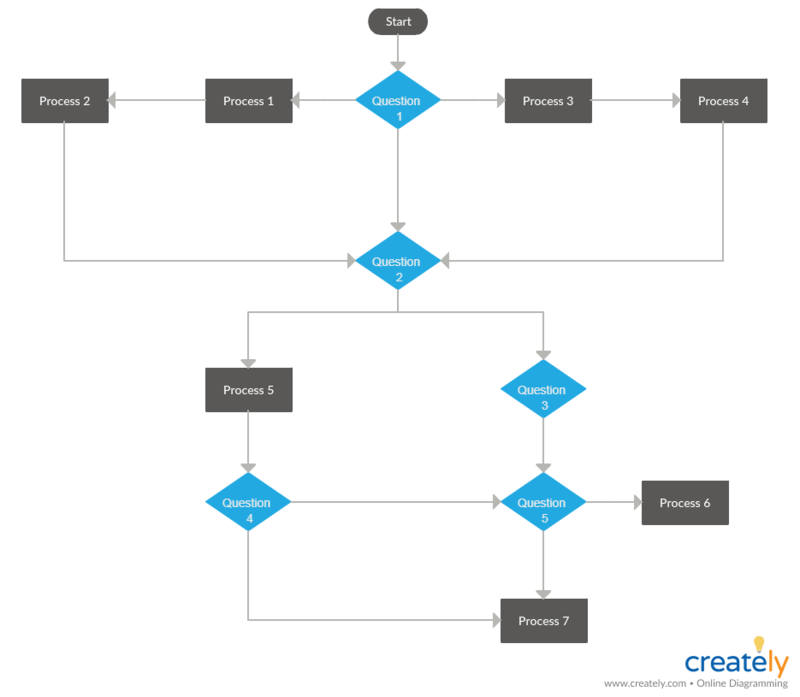 Check out our ultimate guide to fishbone diagrams to learn how to apply it. Affinity diagrams help you gather and organize large amounts of data to identify patterns and themes. This would come in handy f you are running a meeting to analyze and make sense of a lot of data gathered from research, brainstorming sessions etc. Trying to optimize a process? Identify bottlenecks in your process? Or design a new process? Flowcharts can help you with these purposes and many more. A flowchart is basically a visualization of process steps. It can also help with problem-solving and decision-making. 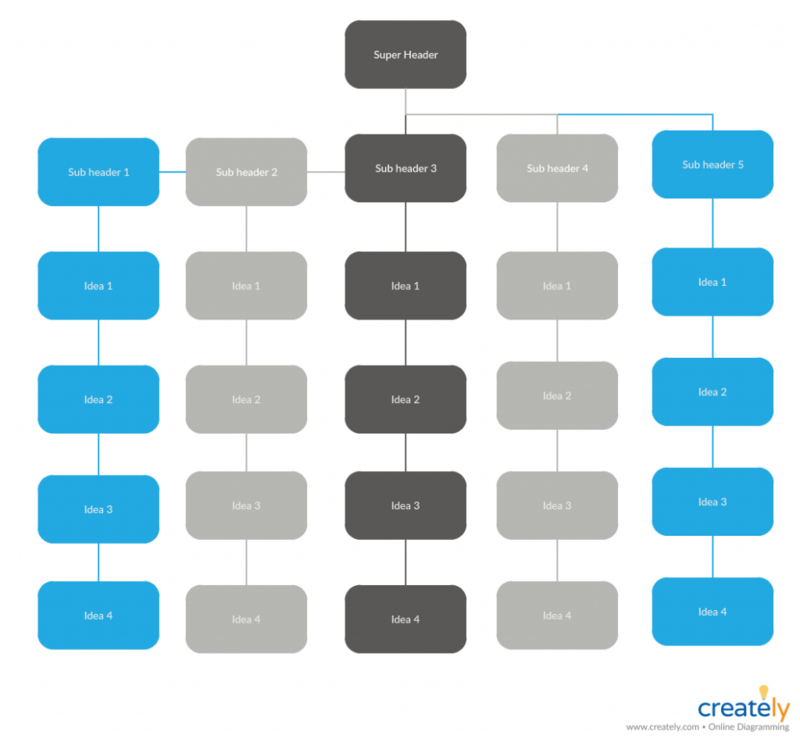 Here’s our ultimate guide to flowcharts to learn about how to use them. This is another tool to ensure that your meetings are highly productive. 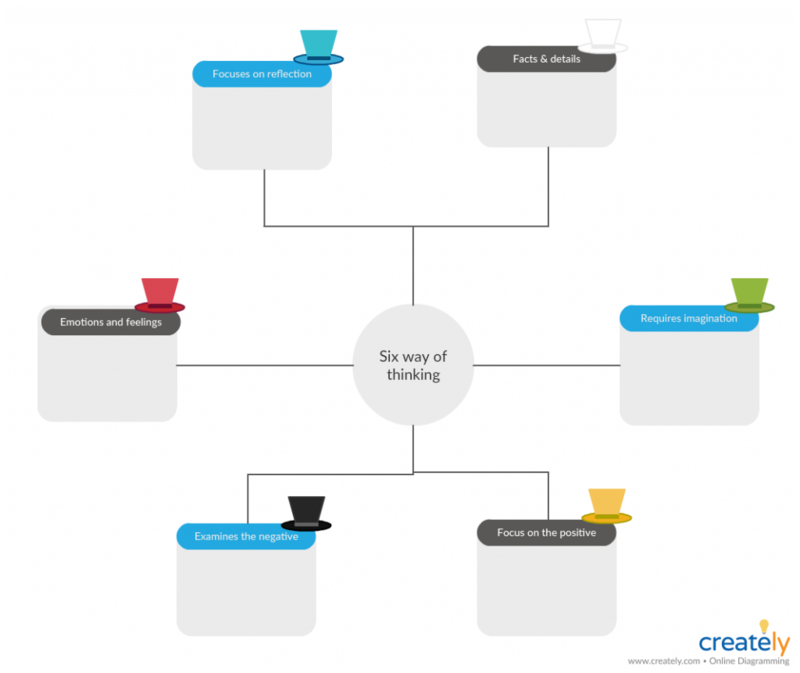 The six thinking hats is a tool that allows you to explore the different perspectives of the meeting attendees. Each member is asked to wear the different colored hats (which stand for different perspectives) in turn and express their opinion on the matter. Learn how to use the six thinking hat technique in more detail here. Here are a few more visual brainstorming techniques you can use during your meetings and group discussions. Anymore Tips on How to Conduct a Meeting? The steps we have listed in this post are easier to follow and guarantee success. Combine them with the tools we have mentioned to ensure maximum productivity during your meetings. What other tips do you have on how to conduct a meeting? Do share them with us in the comment section below. Real-Time Collaboration is Live ! Amanda Athuraliya is the communication specialist/content writer at Creately, online diagramming and collaboration tool. She is an avid reader, a budding writer and a passionate researcher who loves to write about all kinds of topics.